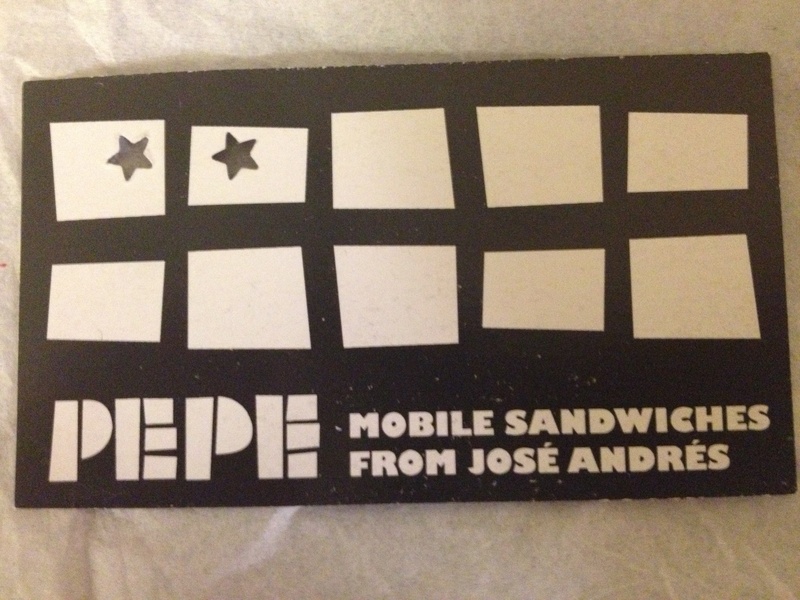 Chef Jose Andres’s Pepe food truck has launched a loyalty card program where you get a star for every regular sized item (ranging from Pepe’s signature flautas to a large order of soup) that you purchase. After you get ten stars punched on your loyalty card you get one item free. We’ve heard that Feelin’ Crabby food truck also has a loyalty program, have you heard of any other trucks that do? ← Mike Isabella’s Kapnos: Even Better than Graffiato?